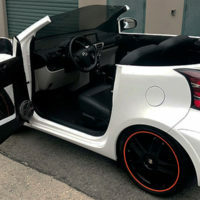 Turn your business front into a clever marketing trigger with custom graphics! 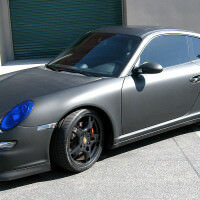 We work closely with you to produce the best quality custom signs and graphics. 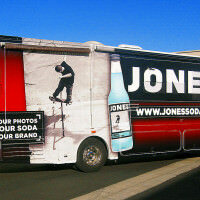 Large banners and vehicle wraps are key items for any company wanting to advertise in California. 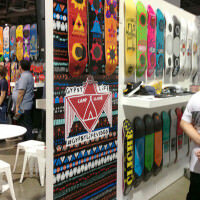 If you have the space for Grand Format banner the potential for exposure is huge. 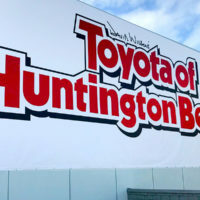 If you have ever been to Huntington Beach, CA, chances are you have seen Toyota of Huntington Beach. 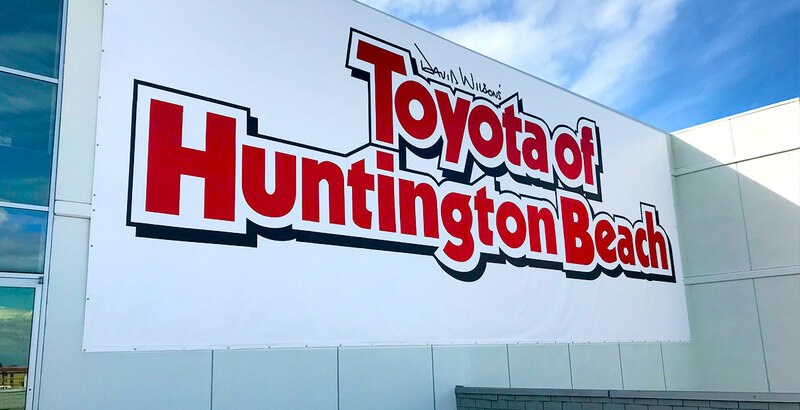 Monster Image has done numerous projects for Toyota of Huntington Beach including interior signs, interior banners, grand format banners, pole pocket banners, vehicle wraps, and more. 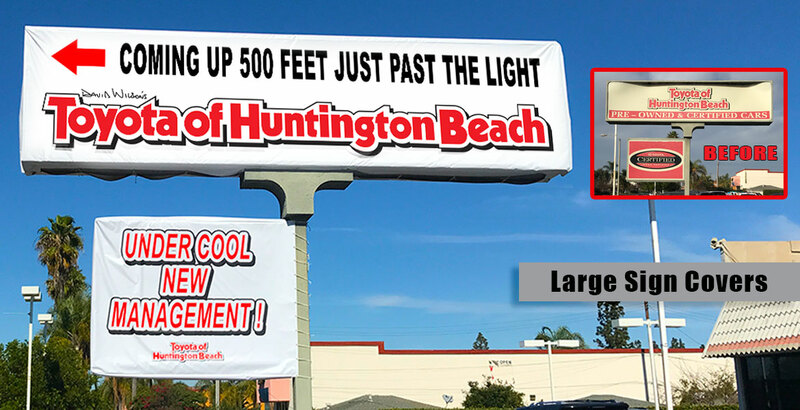 High volume traffic on Beach Blvd gives ample opportunity for customers to see the Toyota banners and help locate their location. 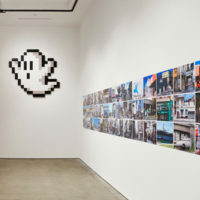 The large banners are used as promotional and seasonal advertisements. 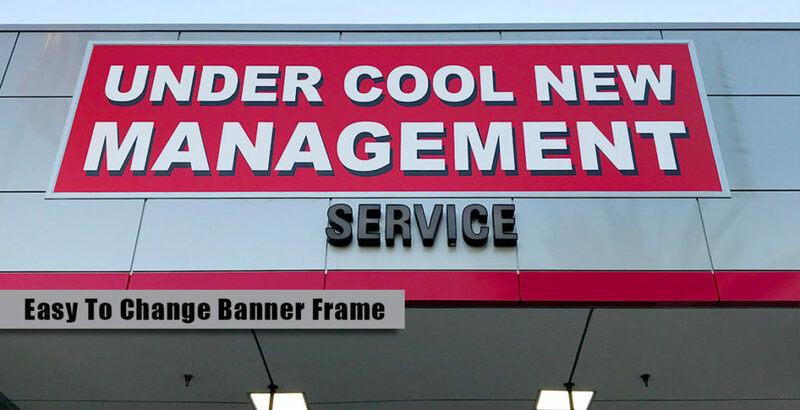 The banner frame system is the sharpest way to display a large banner. 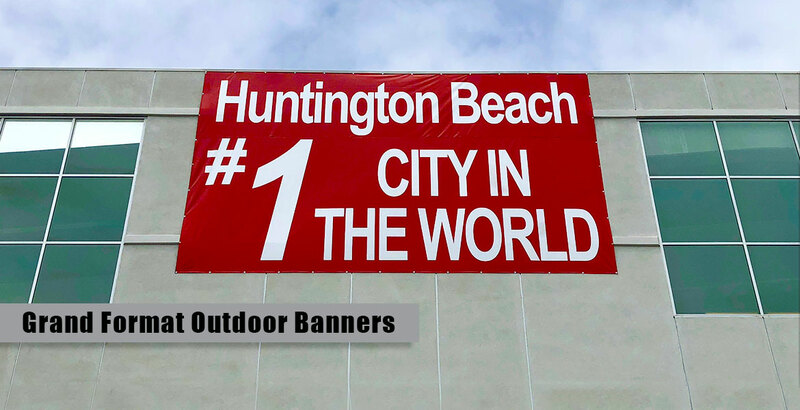 The banner frame is made from durable aluminum with a clean looking brushed aluminum finish. This system makes it super easy to swap out your banners and it always displays them perfectly. Pole pocket banners are a must when you have busy street traffic. 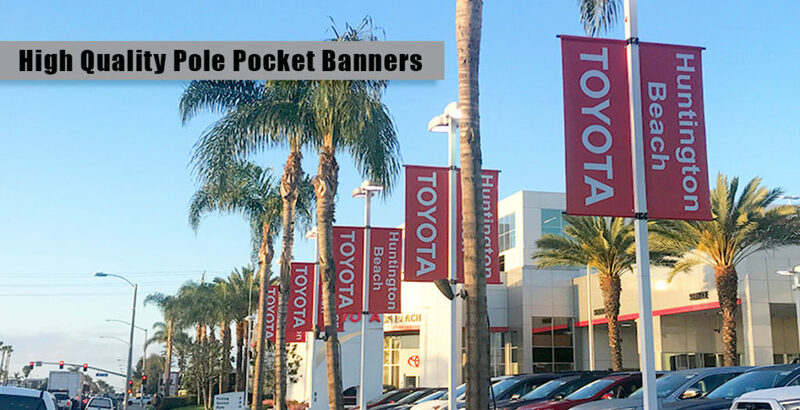 These heavy duty, double sided print pole pocket banners were installed to light poles on the storefront and now the Toyota Dealer is very visable. 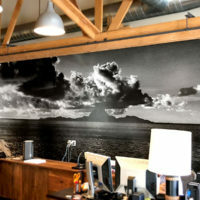 Monster Image also produced a giant 50 ft banner to be used as a building sign. 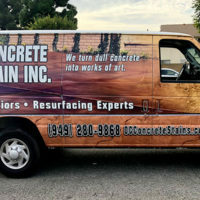 It’s easy to turn your exterior building surfaces, concrete floors, windows, or any surface into an advertising work of art. 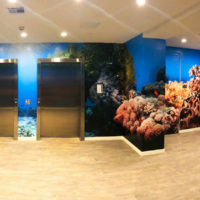 Monster Image of Orange County, CA is a full service print and installation facility. 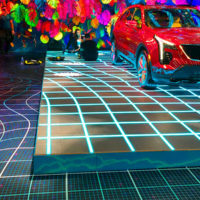 We offer multiple levels of design, from simple renderings to full concepts to help launch new campaigns. 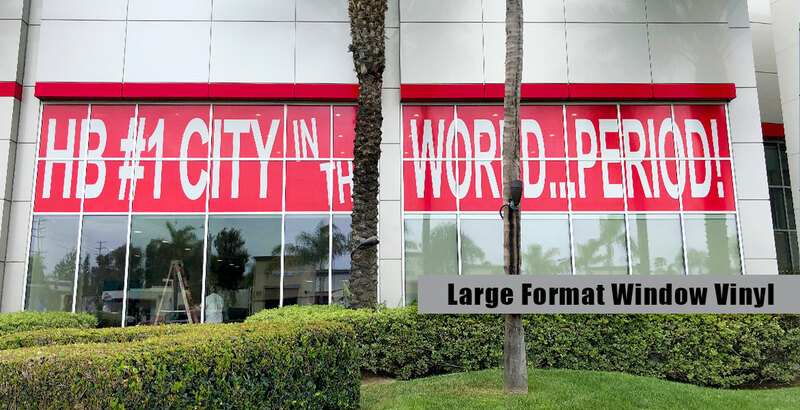 Let Monster Image Digital printing turn your parking lot or building side into a marketing mainframe that will grab your customer’s attention. 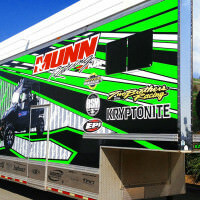 Give the Monster Image team a call at (714)596-7465. 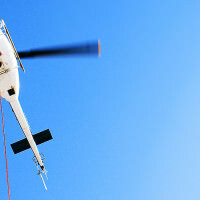 Not located in the Orange county area, no problem. 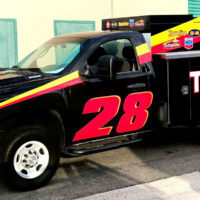 The Monster Image install team can install your custom graphics in any location throughout the United States. 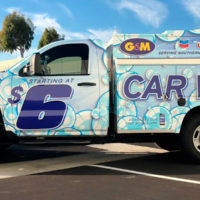 Call Monster Image in Huntington Beach, CA for a quote today!